Three flights and a short drive on 20 April put me outside the local fish ‘n’ chip shop in Esperance WA,all up a 12 hour journey. 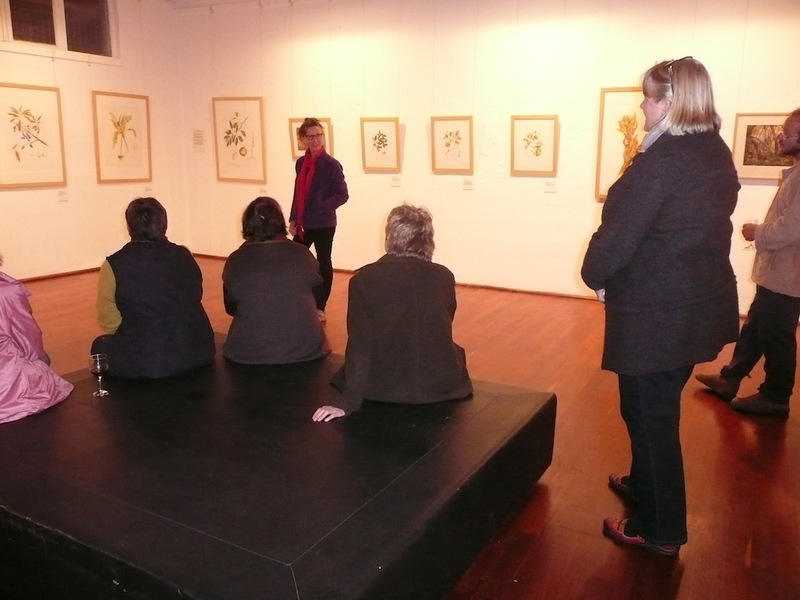 The Cannery Art Centre in Esperance is hosting Offshoots until early May and I had arrived to facilitate a Botanical Journal Workshop and floor talk over three evenings. A fortuitous time schedule which left me with daylight hours to explore the pristine and close by National Park, Cape le Grande, and sketch some of the local flora. 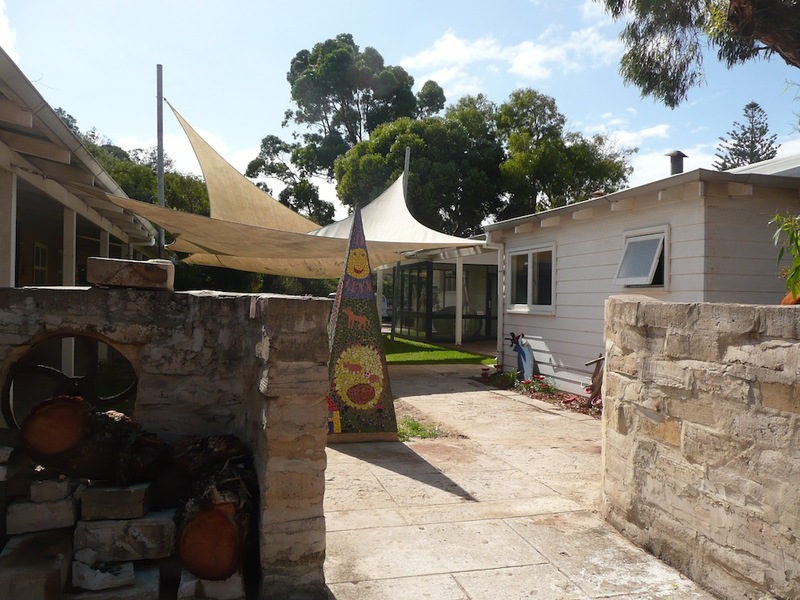 The Cannery sits opposite one of the beautiful beaches of the area and close to a long jetty and understated foreshore development complete with the ‘Coffee Cat’ barrow, its friendly staff and excellent coffee and muffins. 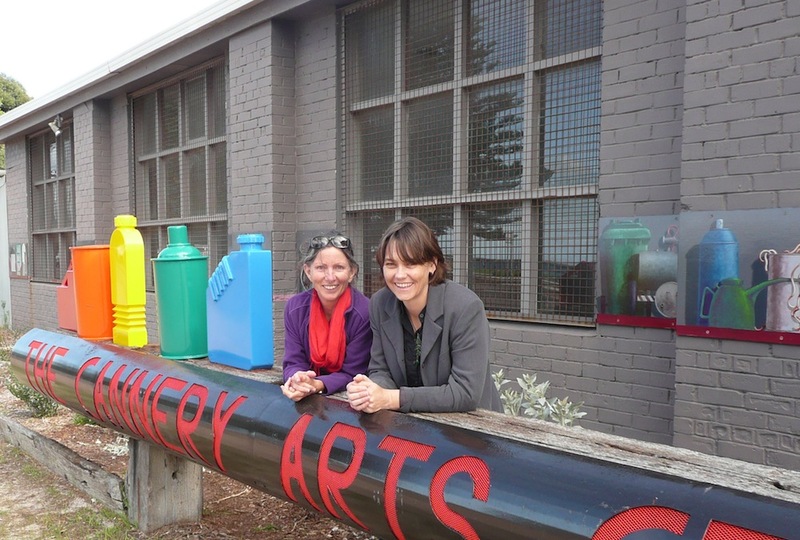 Karen McClurkin, Manager of the Cannery and an artist in her own right, does a fantastic job with clever foresight and limited funds, assisted of course by loyal volunteers and community members. Offshoots looked fantastic in the one huge space, filling the walls with everything hung, bar the 3m high pandanus on paper, which are yet to make the hang anywhere apart from Cairns! 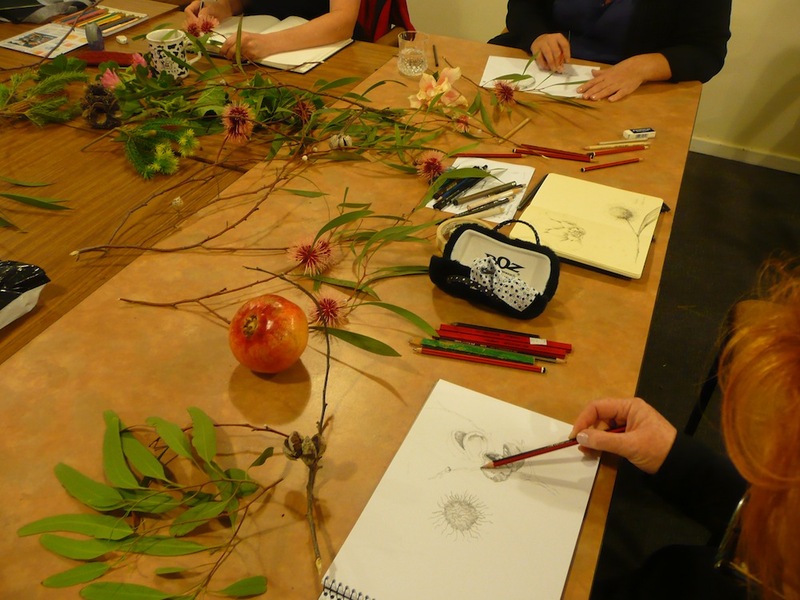 Tuesday evenings’ workshop was spent indoors with a huge selection of local seedpods, grasses, eucalypts, succulents and flowers but Wednesday’s subject matter was taken care of by (another) Karen who arrived with armfuls of the Pincushion Hakea, Hakea laurina. An instant hit with everyone, including me! Thursday’s Meet the Artist evening was a lovely opportunity for me to speak about the project and to say au revoir to the Cannery Arts Centre and some of the people who make it tick. 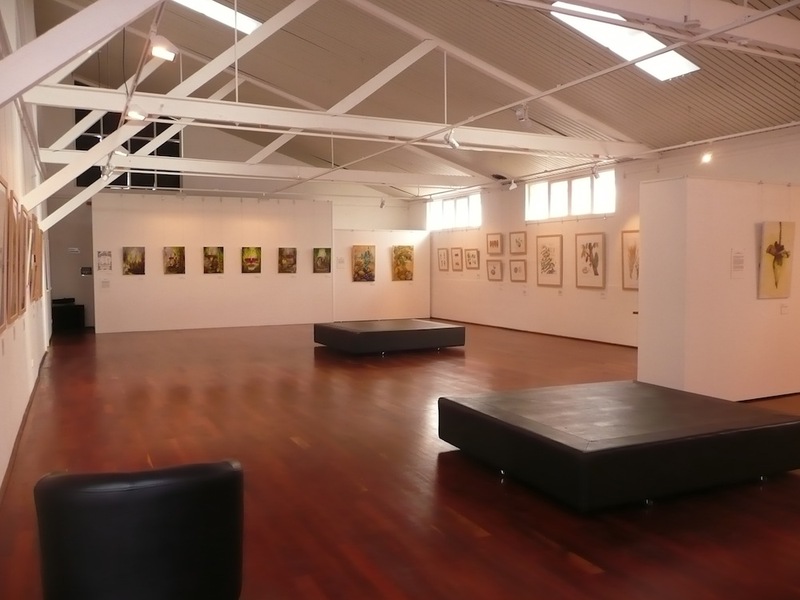 Next week Offshoots Touring Exhibition leaves Esperance to begin the Northern NSW and Queensland leg of the tour.